enrolments from Monday 25 January 8:30am - 3:30pm daily. School opens for instruction at 8:55am on Monday 1st February. Stationery packs may be purchased from school between 12:30pm and 3:30pm on Thursday 28 January and from 9:00am-12:00pm on Friday 29 January. Click here for all information on stationery for 2016. The weather did not dampen the spirit of our Final Assembly. Our 2016 student leaders were announced and our Year 6 students were farewelled in an emotional ceremony, involving the year 5 girls singing with poi and our Year 5 boys performing the school haka. We wish our Year 6 students all the best as the begin the next adventure of their lives. Charlotte, Lauren, Kaden. Lachlan S, Siri, Harriet, Harry B, Issi, Jemma, Lucinda and Casey. Parents flocked to the school today to hear our youngest members, sing Christmas Carols. The children all sung beautifully, the parents performed a solo and a group of children played their recorders. What a lovely way to finish the year! What a way to end the year with having a day full of fun, for all the children who use their REACH values! Pedalmania, Water World and Christmas Craft were some of the activities on offer. The photos definitely showed all the fun they had. ​Prize Giving 2015 was held last night in the Shirley Intermediate Hall. Our Year 6 students were recognised for their academic, music and sporting achievements, along with, all the service and contributions they have made to Banks Ave. It was a night of celebration of their learning, as well as, a night to farewell and wish them the best for Intermediate. Four Year 5 students were the MCs for the evening (Lauren, Charlotte, Kaden and Connor) and two Year 5 students managed all the technical aspects (Lucinda and Casey). What a great job they did! ​Look at how well Room 15 and 16 children are working together with their Christmas cooperative fun activities! All the singing practice come into fruition today as our Senior Module children sung Christmas Carols to the public in the Transitional Cathedral. 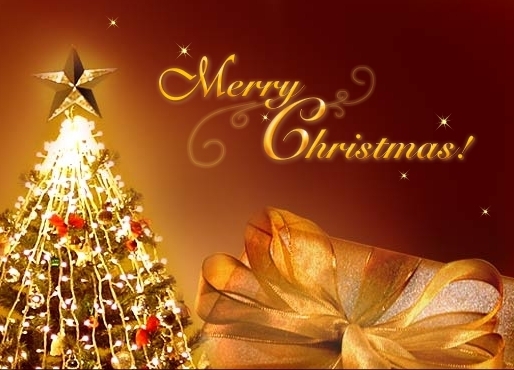 They sung Silent Night, Rudolf the Red Nose Reindeer, Someday at Christmas and many more. They finished with 'I Wish You A Merry Christmas' then walked to the Botanical Gardens for a picnic lunch. There were water slides, trampolines, paddling pools, chalk art, bubbles and much more at the Junior Module Fun Day. What a good time these children are having at school! Three members of the Police visited our school today to show us the work a Police dog does. ​Demonstrations were shown on how these amazing dogs catch people, how good their hearing is and how they are handled by their owner. Today awards were given to all our senior students who have given service to the school throughout 2015. The following are some examples of how our children give service. Certificates and badges were also given out to all children who completed their Pride in Achievement Awards. Well done to all children who received an award and thank you for your great contribution to Banks Ave. This is one of the many things that makes our school such a special place. Christmas Carols were sung and awards given out to the Garden Club children today, at the Junior Final Assembly. What a night we had celebrating with our community our children's learning, mixed in with a lot of fun activities! There were performances from our Kapahaka group, Jump Jam group, Choir and Team Miro Rad Rhythm. Classes were open for children to share their learning with their families. Check out all the fun our families had together. The youngest members of our school competed in the Junior Athletics today. There were hurdles, sack races, egg and spoon races, toss the bean bag and the the obstacle race. Check out the photos to see our young olympians in the making! Josh said, "It just feels like an extra achievement." Trisha said, "At least I got into the finals." Today our Kapa haka group performed for two of our local kindys. 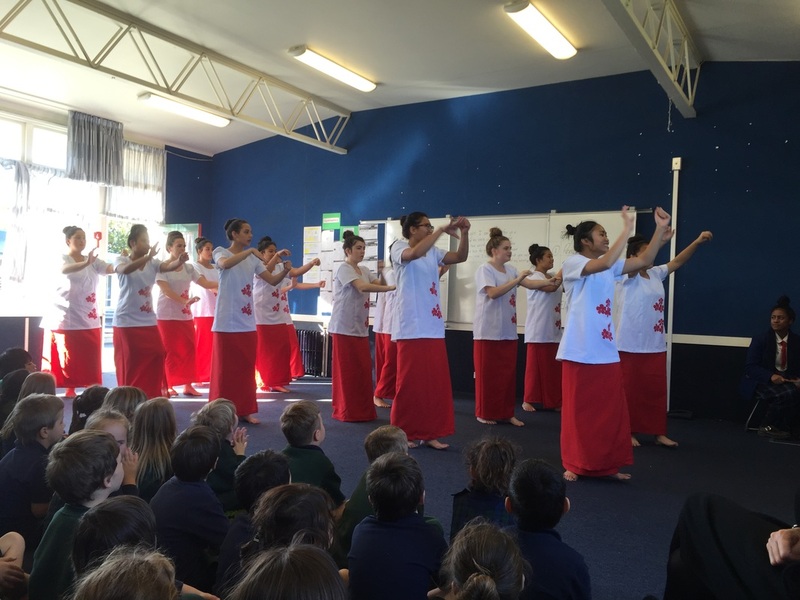 The children performed waiata and then taught the littles ones the movements to the songs. Check out the fun they had with the littlest members of our community! ​A group of Year 5 and 6 students went with Mr Josland to CORE Education to learn how to programme robots. They also learnt how to use programmes like Scratch and Sketch Up. Over 100 of our children performed on stage today, to entertain the audience at the Re-Start Mall. Our Jump Jam team and MJ Groups performed dance items and our Choir sung. The children then walked to the gardens to have lunch. Check out the photos of a very fun day! Today was the break-up session of Scripture. Children sung songs, learnt about Christmas and thanked the Scripture teachers with bunches of flowers. Check out the pictures of the puppets. They were very cool! Today the Senior School listened to the Shirley District School Orchestra play. There were trumpets, clarinets, keyboards, violins and flutes. They played songs like the Hokey Pokey, Pink Panther and the Little Drummer Boy. "It's great because we meet nice kids and it is fun!" "It helps with learning. It helps the community and it helps the school." The vegetable garden is made from wood and plastic film. It is then filled with fertilised potting mix so the plant's stay healthy all year long. Thank you Bunnings for your kindness! ​Over the last two weeks children from Team Totara have been having daily swimming lessons at Jellie Park. "I like the starfish and I got better at roly polys." The 'Figure It Out' Team spent two days out at Lake Rua completing a number of water activities. Together, as a team, they built rafts and tested these on the water. They had lessons in kayaking and also learnt how to sail. Pafuti achieved 1st place in the 50 metre sprint event. Kieran achieved 1st place in the 50 metre sprint event. Jekita achieved 1st place in Shot Put and Discus events. Olivia achieved 1st place in Discus event. Jordan L achieved 3rd place in the 50 metre sprint event. 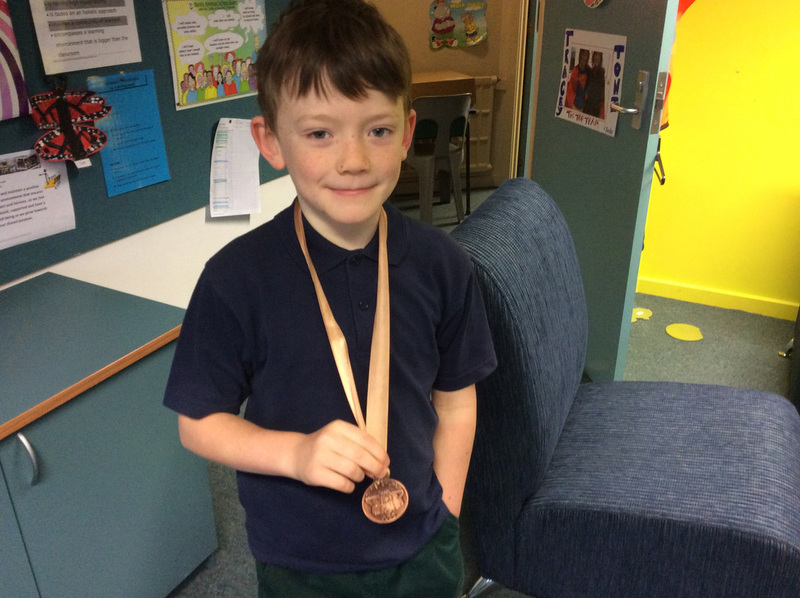 Meika achieved 3rd place in the 50 metre sprint event. Keiran achieved 3rd place in the Long Jump Event. Congratulations to Pafuti, Keiran, Jekita and Olivia who will represent Banks Ave in the Canterbury Athletics on the 2nd December. Today a team made up of Year 5 and 6 boys and girls, took part in a Kiwi League Tag Tournament at South Hagley Park. After having most practises cancelled due to rain, they took up the challenge of versing other, more seasoned professionals. They all played well and impressed their coach with a 4th placement. Jekita V received 1 of 3 'sports people' of the tournament and was rewarded with a goodie bag. 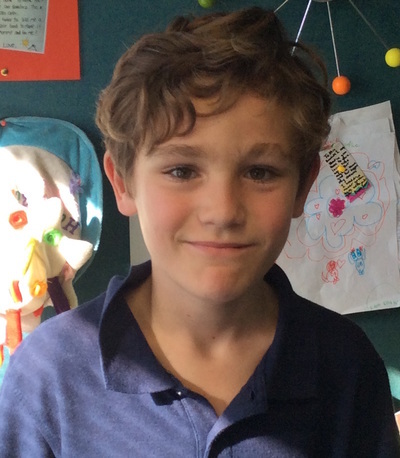 Through LEARNZ, the children from Room 27 have been learning alongside Field Scientists about Antarctica. Shelley Hersey from CORE is in Antarctica this week and she linked us up live with Craig Stevens from NIWA in an audio-conference themed around 'Antarctica and Climate Change'. The children asked questions collaboratively with Coley Street School. Click on the button below to hear the live broadcast. Are you wondering what 'Modern Learning Practice' is all about? Have you any questions you would like answered? All you have to do is click on the button below to submit your question and then check back later for the reply! Today children dressed either supporting their House Colour or supporting the All Blacks as they competed in the Senior Module Athletics. Children ran faster, jumped higher and threw further, breaking school records! Check back later for the official results. In the meantime check out the photos taken of today by Ruby and Hadley. Today our Year 0-3 children watched a performance from New Zealand Playhouse called Jack Flash and the Jumping Beanstalk. This interactive adaptation of Jack and the Beanstalk had our children on the edge of their seats from start to finish as they join Jack in his quest to save the environment. Click on the video to see how much our little ones enjoyed this show. 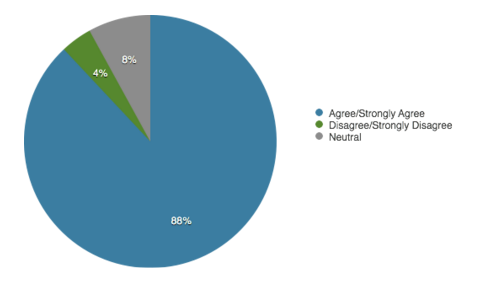 Thank you to everyone that responded to our recent community survey. From a pool of 318 Banks Ave families, 72 took part (22.6%). 59.7% of these surveys were completed online. The survey has given us plenty to talk about. We are very pleased with all the positive feedback received and we have identified areas to work on. In fact, the staff have already met and discussed ways, in which particular areas, can be improved. As your read through the results of the survey you will see some immediate actions we have taken and some longer term goals we have set. We will keep you well informed of any changes or future directions we take. Click here to complete survey online. A playground audit is currently in place. As part of this process we are seeking views from a number of people, i.e., our students, duty teachers, Board of Trustees and you, our parents. Your feedback will help inform the future direction of our playground and what we might need to consider doing, in order, for our children to play more wisely and creatively. A paper copy of the survey went home with the children today. If you would like to complete it online click here. Please complete by Wednesday 21st October. The Christchurch City Council are building a new Eastern Recreation and Sport Centre on QEII Park. Today 'Your Play, Your Say' campaign was launched at Rawhiti School. This campaign is all about having your say and sharing your ideas on what this complex could look like. All Room 26 and Room 27 children completed designs on what they wanted in a new swimming complex. Check out the top three designs. Ollie's design was chosen and today he shared his ideas with the Mayor, Lianne Dalziel at Rawhiti School. Press play to hear his presentation. If you would like to have you say or share any ideas click on the link below. The members of our 'Figure It Out' team challenged themselves today at Clip N Climb. Stepping well out of their comfort zone the boys completed many of the wall climbs as well as some, having a go at the Leap of Faith and the Vertical Slide. Not sure what these are? Click play to find out. Today our Wellbeing Team travelled to Hornby High School Auditoriumt o attend the Wellbeing Forum. There, they presented to other schools what they had done at Banks Ave to better the wellbeing for the people. Each school had a different presentation. Over the last few days the children from Team Miro have been learning essential water safety and survival skills. They participated in lessons in inflatable boats, practiced wearing life jackets and had to swim in their pyjamas! What a lot of fun the children had with their learning. Bernard Mangakahia came to our school and entertained us with his message of being brave and being resilient. It's all about getting up, if you fall down and trying again. Bernard showed us a fire dance with no fire! All the children had smiles on their faces . All eyes were following every move! Today, our Senior children participated in a programme with Tracey Hickman around water and life jacket safety. The children learnt where and when they should wear lifejackets and how to fit them properly. Tonight many of our children attended the school disco held in the Shirley Intermediate Hall. A big thank you to our wonderful PTA for organising this event. Check out the photos and video footage of, not only the fun our children had, but their groovy dance moves! Tonight our three basketball teams played for the last time this year. The Superstars and the Sparks won their games. Well done! The Sirens were competing for first place in the finals. What an exciting game! Everyone was sitting on the edge of their seats as each team scored consecutive points, 2-2...4-4...6-6.. In the last two minutes of the game the opposing team scored the goal to win. We were very proud of the way the Sirens accepted the loss, like true sportsman. Today our Kapa haka group performed at the Christchurch Cultural Festival. We were very proud of their efforts. Click play to watch their performance. What a week we have had celebrating books and reading. Many books were sold at the book fair and the week ended with the annual book parade. Everyone dressed up to this year's theme of 'Under the Sea'. Check out the costumes (many were hand made) and our special guest, Clifford. This morning our choir went to the Kids for Kids concert rehearsal at Wigram Airforce Museum and then the performance tonight. The theme this year was called 'Slice of Heaven'. 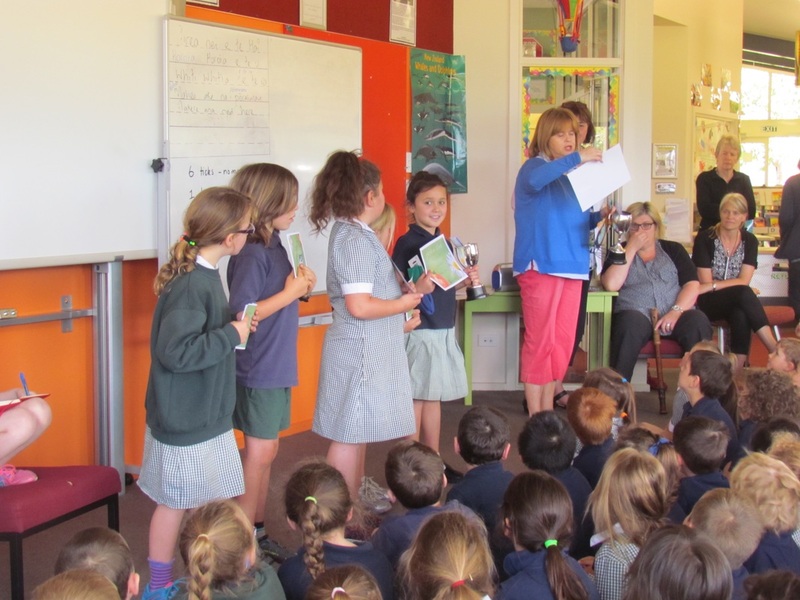 The children sung a range of New Zealand songs with Jackie Clark and Nathan King. This event raises money for World Vision and is all about kids raising money for kids, just by singing! We were very proud of our children's performance. A special mention to Josh who auditioned and got to sing with Nathan King and Phoebe and Nikau for being brave enough to audition too. Josh: "I was very nervous but very excited too"
Nikau: "It was a very good experience"
What a large variety of animals arrived at school today! Yes, it was dress up, as an animal day. Organised by our student leaders, everyone came to school dressed as an animal to help raise funds for the SPCA. As our school-wide focus this term is on kind actions the SPCA was chosen because they are kind to animals. Check back soon to see how much money was raised. Today some of our children walked to the Gayhurst Bridge to be part of the Bridge Opening Ceremony. It was a lovely ceremony and the children felt special. They were told they were the guests of honour and sat in front of the ribbon with the public in behind. The oldest resident of Gayhurst Rd showed the children his bike that he used to ride up and down the road - it had a candle holder as the light for the bike - quite special, he was 93. There were speeches by Nicky Wagner and Glen Livingstone and then once the ribbon was cut everyone walked across the bridge. The children sung 'Count On Me' while the chocolate celebration cake was cut and given out. Thirteen children from Room 16 were invited by Countdown supermarket to go to Palm Grove Village and Retirement Home, today, to help promote their latest give away -Disney/Pixar Dominoes. At Palm Grove the children sat with small groups of residents and played several different domino games. It was great fun watching the children teaching the elderly and the elderly teaching the children. Everyone got to eat muffins, lamingtons and chocolate provided by Countdown, as well as, a box of dominos to bring back to school. What a great time the children and residents had! As part of their inquiry topic, ‘Birds of a feather, flock together’ Room 26 and 27 took a day trip to Travis Wetlands. Here, students learnt about the biodiversity of the wetland, went pond dipping to discover underwater species and looked through binoculars to check out the huge variety of bird life. Check out the photos of a great day had by all! Today we celebrate two children who have had success in their varying interests outside of school. Jack competed in his first Judo lesson and achieved a bronze medal and Josh trialled for the Canterbury All Stars Team and has been selected. He also plays weekly for the Banks Ave team. Thank you to all our wonderful parents who have completed our 'Parent Consultation Survey'. We have had 51 responses to date. We really value your thoughts and feedback about what we do at Banks Ave and how we do it. Please take some time to give us your feedback by clicking on the link below. It will only take 3-5 minutes tops to complete! Re​cently, we have been dealing with some negative behaviours from a small number (4%) of our children. These behaviours range from non-compliance ​(not doing what is asked or walking out of the room) t​o children hurting each other, either physically or with words. When behaviours like this occur in a school, it is of large concern to everyone; the children, the parents/caregivers, the teachers, the senior management team and the Board of Trustees. We would like to address some of the ‘frequently asked questions’ concerning how we manage these behaviours in our school. Please click on the button below to read the responses to these questions. Thank You For Helping Us Keep Warm! A group of retired ladies meet each week to knit for children. They have knitted for a number of schools now and they knitted for Banks Avenue children just after the earthquakes. Recently they knitted lots of wonderful socks that many of our Team Totara learners enjoy. The photo shows children from Room 9 and Room 10 modelling their lovely warm socks. Thank you to these ladies for their kindness. We value parents’ thoughts and feedback about what we do at Banks Avenue School and how we do it. In order to reflect and to improve our practices we would love you to help us by clicking on the link below and completing our survey. It will only take 3-5 minutes tops! Survey closes on Friday 31 July. Today all classes from Team Miro participated in an Art Workshop with Neil Shaskey. From a projected image the children learnt how to draw a pukeko step by step. Haven't they done well? School is now closed for the Term 2 holidays. The office will re-open for enrolments and enquiries on Friday 17 July from 8:30am-3:30pm. Tonight the Siren Basketball Team competed against South New Brighton for first place. They were in the lead but through a technical difficulty they drew. As they were playing, the lights in Cowles Stadium went out leaving the stadium in darkness! The game was cancelled. 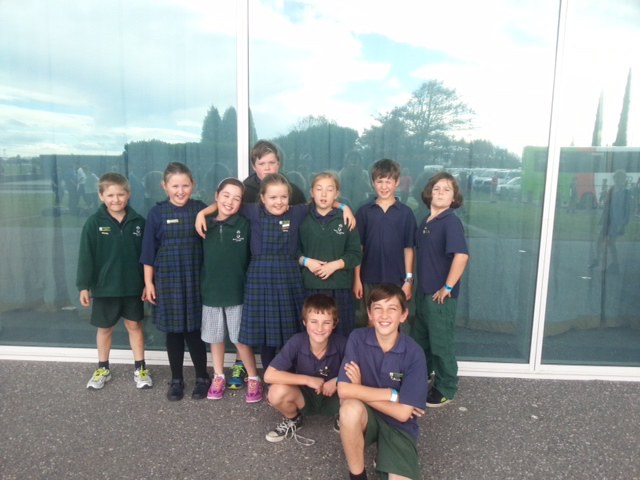 The Superstar Basketball Team competed against Waitakiri for first place and won 13/8. Well done team! The Sparks Basketball team also played tonight. The competed against Shirley playing for 5th place. They also won 23/0. We were very proud of all our teams and the sportsmanship they demonstrated tonight. The Sir Peter Blake Trust holds an annual Leadership Week across New Zealand where leaders are recognised in schools and across communities. The theme for 2015 is 'Believe You Can' - Sir Peter stated that there are leaders and there are dreamers. Leaders make things happen. Dreamers have a vision. The truly special people do both. On Tuesday Kate Macdonald - Westpac's Consumer Research and Insight Lead, flew down from Auckland to give Team Miro a 'Dream Team' talk where she outlined what it takes to be a leader. All children then wrote their own dreams and we ended our time together with the presentation of a 2015 Young Leader Award to Josh E. Well done Josh! Singing of songs through the decades could be heard from the Shirley Intermediate Hall tonight, as children across four schools performed in the Shirley Area Music Festival. The schools involved were Shirley Primary, Shirley Intermediate, Waitakiri and a sixty strong choir of Banks Ave students! The theme was 'Counting the Beat'. Click play to watch a short video of tonight's performance. We were very proud of our choir! Banks Ave is one of the Kidsfest Schools that work with City Council Art Facilitators to produce lanterns for the launch of Kidsfest. Today Paul, Correna and Sarah Jane from Kidsfest worked with Rooms 26 and 27 teaching them how to make the lanterns. The Lantern Parade takes place on Saturday 4th July from 4:30pm-6:30pm. Children who made the lanterns today will hopefully be able to attend the parade which begins at the Restart Mall and makes its way to Victoria Square. School values are the foundation of a school culture. What are the top five values you think we need to be focusing on at Banks Ave? We want to know what you think! What are your thoughts? Use this Top 5 Values Form to let us know the 5 values you think are most important. Please type in the five values you think are the most important for our children. What a lot of different forms the theme Vice Versa took! Today boys came dressed as girls, girls came dressed as boys and children wore their clothes inside out! If you look carefully at the photos you might just see some staff members dressed up too! Donations went towards Young Leaders Day 2016. Check back later for the total amount raised. Children from Team Torata and Team Kahikatea attended a performance today from a Wellington based group called Strike Percussion. What a wonderful time our Junior children have had with their grandparents this week! Children shared their learning, read books and played games with their grandparents. They then had afternoon tea together. Very special times to be remembered! 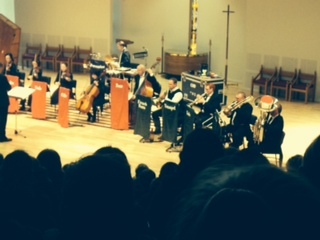 Team Miro (Y4-6) attended a performance of 'Compose Yourself' by the Christchurch Symphony Orchestra today. This performance was held in the Charles Luney Auditorium at St Margaret's School. Children commented on how 'good' the musicians were and how they made them laugh! As part of our well-being programme, clowns arrived at Banks Ave this week to teach our Junior children circus tricks. They also learnt how to relax their minds with the Mind Ball machine. These opportunities have come about due to funds received from Red Cross. Thank you. Click here to learn more about Red Cross. Children in Team Miro who have demonstrated our 'REACH' (responsibility, empathy, attitude, co-opertion, honesty) values this term were rewarded with a very special day. Check out the photos to see what an exciting day they had! Tonight Derek Wenmoth gave a presentation on Future Focused Learning in the Rae McDonald Library. 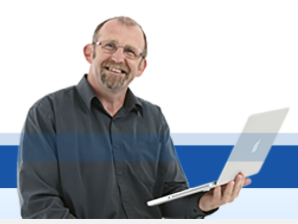 Derek is currently the Director of eLearning CORE Education Ltd, a not-for-profit educational research and development organisation based in Christchurch, New Zealand. This presentation was very important as it gives us an insight into what we need to be thinking about with our new school. If you missed tonight's presentation don't worry as we have videoed it. Click here to watch the video of tonight's presentation. Twenty four Year 5 and 6 children represented Banks Avenue at the North East Zones Cross Country held at Halswell Quarry. All children performed incredibly well given the freezing temperature and the challenge of an up-hill course. Kieran placed 2nd in the Year 5 race and will hopefully be representing the zone at the Canterbury Cross Country held later in the term. The Marian College Pasifika Group visited Team Totara today. They performed songs for our children, and also taught them a sasa. The sasa is a Samoan group dance. The children especially enjoyed learning the clapping! Our inquiry topic for this term is on Space. This week the Senior Module children (Rooms 25, 26, 27 and Dudley) participated in a Science Alive programme held at school where they completed activities, asked questions and found answers to their wonderings! . Passion for this topic has been ignited! Today our school leaders attended the Young Leader’s Conference held at the Wigram Airforce Museum with 1300 other delegates from throughout Canterbury. This was a great opportunity for our students to listen and be inspired and motivated by the stories and experiences of successful leaders in the community. The theme of the conference was “This is your journey” and every speaker had some strong messages about their life’s journey. Jack said the message he remembers the most was from William Pike...."Push yourself to set a goal, think about it, do it and succeed". The message Matai remembers most was from Jamie McDowell who said, "Dreams pop out of nowhere so reach forward and grab them!" Be prepared to fail. Be prepared to make mistakes. Leadership is not about power it is about empowering others. Sometimes you’ll win. Sometimes you’ll learn but you’ll never fail. Focus on outcomes not obstacles. Develop a willingness to serve – find a need and do something about it. Success is a meeting of a positive mind-set and actions. ﻿What a great turn out of parents we had today to support our Junior and Senior Cross Country Event! All children competed well and gave their best. Congratulations to all the place-getters. What an exciting time our Year 4-6 students had in Hanmer! They climbed the hills, built shelters in the bush, went tree climbing, cooked pikelets on a Hobo Stove, swam in the Hanmer pools and﻿ danced first thing every m﻿orning! Check out the photos of their experience. There were many Super Heroes that attended school today! The mufti-day was organised to raise funds for the families affected by the recent earthquake in Nepal. Banks Ave families sure know how they feel as we raised a total of $517.00! Today members of the Pasifika Group from Shirley Boys High School performed for Team Totara as part their learning about Pasfika. Today our children attended an ANZAC Service held at the school to commemorate and honour those soldiers, who sacrificed and gave service to our country, in war. Tomorrow marks the 100th anniversary of the landing of New Zealand troops on the Gallipoli Peninsula. Our very own ANZAC Memorial was created, to remember the brave soldiers who fought for our country. The National Anthem was sung and three of our children read the war poem 'In Flanders Fields'. Each team constructed a wreath and representatives laid these at the cross of the Unknown Soldier, along with a Flanders Field Poppy. The Last Post was played, a minutes silence observed and the ceremony finished with the 'Reveille'. It was a formal and very moving service. Children from Team Kahikatea travelled to Ferrymead to learn about what life was like for those people who didn't go to war. Check out the photos of our children stepping back in time!